Sighted: Saarinen Tulip Furniture Galore! Behold, the Dam Site Inn! A staple on the Maple River since 1953, it seems little has changed about the decor since it opened, and how wonderfully so! 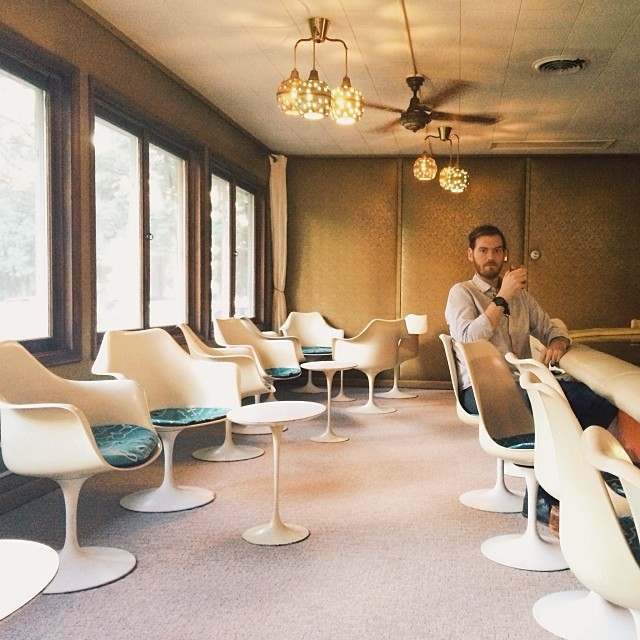 It is quite a feeling to sip a Manhattan in this Saarinen tulip garden, and the wood paneling and whimsical brass light fixtures supplement the nostalgic ambiance. 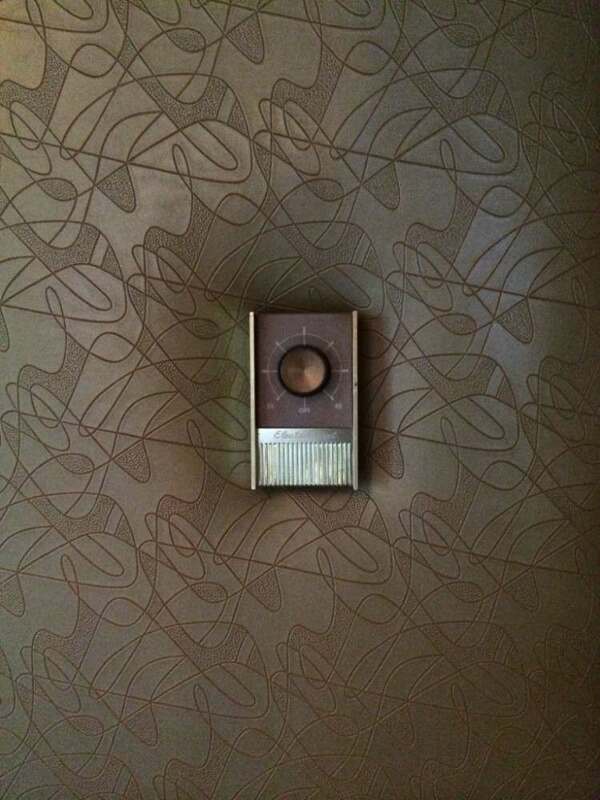 Aside from the furniture, my favorite decorative features of the bar were the textile wall panels, visible in the above photo and shown in detail below. Biomorphic and boomerang patterns in glistening, silky gold–did a Ruth Adler Schnee textile get caught in a disco inferno? Incredible. A must-see if you ever find yourself in Pellston!